A Jeep By Any Other Name…. And A New Jeep Pup! 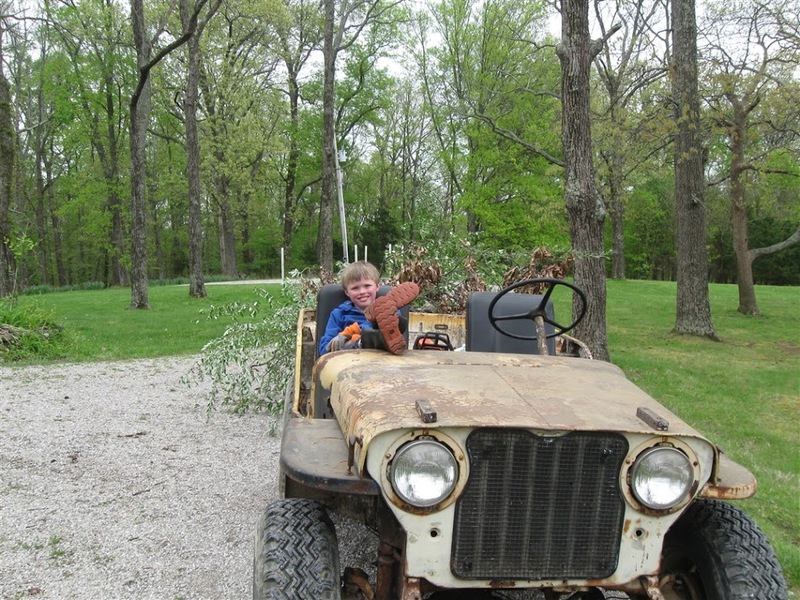 It is Spring on the farm and time to put the farm jeep to work. That’s Robbie in his farm boots and work gloves taking a break from helping grandpa cut and load invasive trees. Robbie was a great help and we are looking forward to many more visits. While Robbie and grandpa were getting the jeep out of the barn and hooking up the trailer, Robbie asked what we should call the farm jeep. Grandpa responded that we called the jeep Ole Yeller or just Yellow. He asked Robbie if he thought it might need a different name and what would be a good one. Robbie immediately responded “I think Rusty might work.” A good observation, but we think we will stick with something more optimistic. 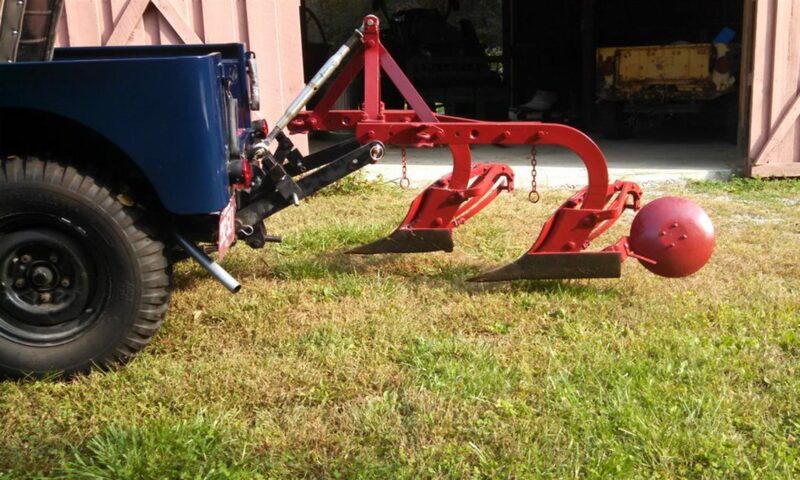 There are a number of antique tractor shows and jeep shows that take place in early May. So every year about this time, we start scrambling to finish all the preparations we promised to do during the winter months. This year is no different, but there are no (known) major lift problems and the 3a is running great. We are working on our on road drive-ability and will take the jeep in for a professional alignment. The gas gauge still isn’t working, but we will just make sure the tank is full before we venture too far. There are a couple of events where we can drive to rather than trailer the jeep. We did work on the the lift control valve leaking down. We believe the valve needs to be refurbished and that will be a winter project. Since the valve has no seals or O-rings, we will need to modify it or have a replica made. After years of searching, we have concluded that there is no valve that can replace it and maintain the original controls. 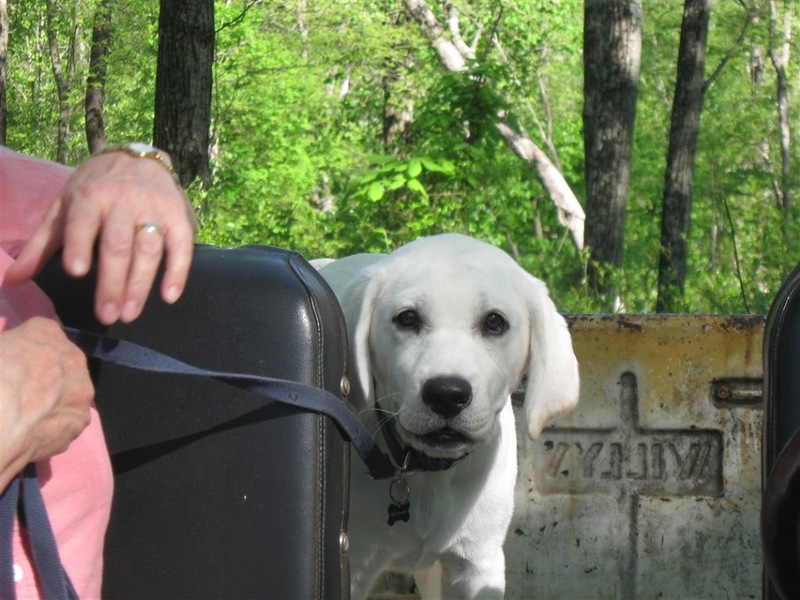 In August of 2005 we announced a new jeep dog had arrived at the farm. Winnie loved his jeeps and claimed all of them. Sadly, Winnie left us a year ago. So earlier this Spring, we found a new jeep dog. His name is Teddy and we think he will have the same fondness for our jeeps. Previous PostPrevious Spring Midwest Willys Reunion Coming to Farm Jeep’s Home Town!